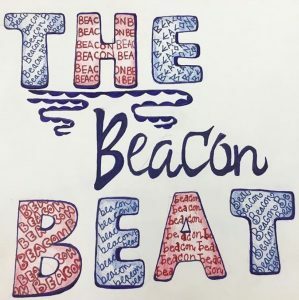 Beacon students are extremely fortunate; our college counseling office offers one-on-one advising, and our counselors are essentially our personal assistants when we need a transcript sent, a reminder to a teacher to write our recommendation, or any of our questions answered. But with such strong advising, which starts early junior year, college admissions mania starts early as well. However, if you’re a freshman or sophomore worried that you will not end up at your first-choice school, a stressed out junior that has already taken the SAT three times, or a senior that just received more rejections than expected, you should be reading Frank Bruni’s Where You Go is Not Who You’ll Be: An Antidote to the College Admissions Mania. Filled with anecdotes from students who went to college far from the Ivy League, to stories from college admissions counselors and consultants that have seen how irrational high schoolers become while applying, Bruni is more than convincing in his argument that where you go to college doesn’t matter, because it’s what you do when you get there that does. Bruni also discusses how deeply flawed and unjust the admissions process is at some of the country’s elite schools. For instance, admissions officers may reject a student on the basis of their interests simply because a student with similar passions has already been admitted. He also mentions that children of Harvard alumni have five times a greater chance of being admitted than students who are not legacies. The list of absurdities goes on, which further drives Bruni’s point that a college’s decision to accept or reject you is by no means a measurement of your character, but rather the culmination of factors that are well out of your control. When I first started reading Where You Go is Not Who You’ll Be, I had already received a few rejections and was concerned that I would be going to a school with less prestige than the ones I had hoped to attend. However, many of the CEOs and politicians Bruni interviews, such as Howard Schultz and Condoleezza Rice, did not attend an Ivy League school, or even an elite college. Instead, they took advantage of the resources at their respective universities, such as enrolling in classes of interest and maintaining close relationships with faculty, and are successful today because of the self motivation they possessed. Whether you’re at Cornell or Indiana, your education is only as good as the effort you put in. Bruni also addresses how the application process distorts the actual capabilities of the applicant. At Princeton, where he taught in 2014, he noticed that the applications students turned in to land a spot in his journalism course were far better than the actual work they submitted while enrolled in his class. This, he claims, is because students who have prepared their whole lives or high school careers to attend an elite institution are good at packaging themselves to appear as though they are Ivy League quality, while not necessarily being capable of the caliber of work professors expect. In other words, attending a prestigious university does not inherently make you more intelligent or more likely to have a lucrative career than a student elsewhere. The greatest aspect of Where You Go is Not Who You’ll Be is the reality-check it provides; reading this book made me realize that although I had worked hard to get into schools that ultimately rejected me, that hard work was not a waste, as many of my peers feel about their admissions process upon receiving rejections. We don’t deserve to go to our first-choice school because our SAT or ACT score is above a certain marker, or because we had the maximum number of extracurriculars on the Common App. College itself is not a trophy or a reward for having worked hard in school, but another opportunity to learn and discover more about ourselves and our interests. This can be achieved at any school if you resolve to do it. *Where You Go is Not Who You’ll Be: An Antidote to the College Admissions Mania by Frank Bruni is available in the Beacon library.